Gifts play an important role for everyone. 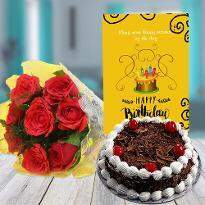 So, if you are looking for online gift delivery in Dehradun then Winni is the apt platform from where you can choose a lovely gift as per your choice. 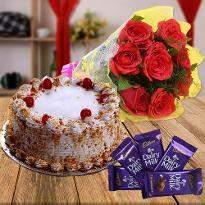 Our gift includes delicious cakes, fresh flowers, chocolates and many more. 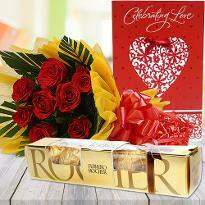 So, feel free to order gift online from Winni. 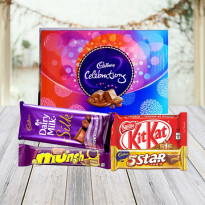 Your gift will be delivered at your specified place in Dehradun. 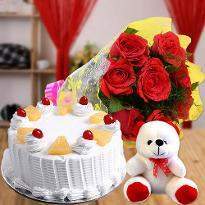 Celebrate the life with birthday cake and flowers delivery in Dehradun. Birthdays bring smiles and joys in lives. Life is not about just living it’s about celebrating it.Gifts are something which adds sparkles to any celebration. Selecting gifts is also not an easy task. 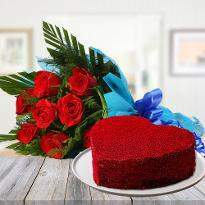 It should be something which can increase the size of the smiles as well as leave the long lasting impression on hearts. 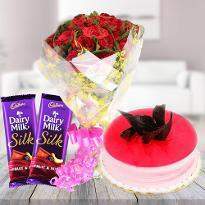 Now celebrate relations with online cake and flowers delivery in Dehradun. 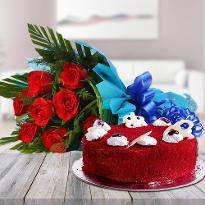 For hustle free and the perfect cake home delivery in Dehradun, you can count on Winni. 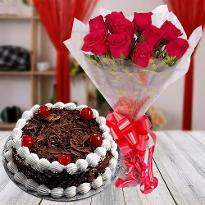 Winni is a renowned name not only for cake and flowers delivery but for also the best services. We not only send gift items we relate with our customers. 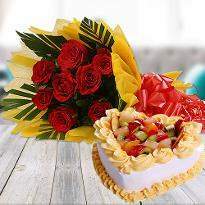 From placing the order of cake and flowers home delivery we guarantee customers convenience and comfort. 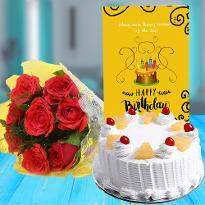 A birthday makes you feel special all day long and if you get a personalized cake or a surprise cake then that can do wonders to your smile. 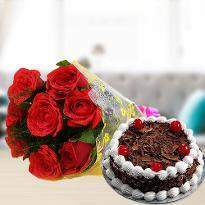 Cakes are the birthday makers but wouldn’t you enjoy the surprise flower bouquet delivery in Dehradun from all the way to Delhi. Surely you will cherish it for days. Duos always play better roles. 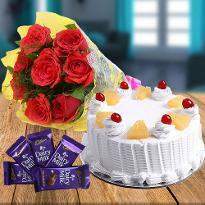 Have the best combo of cake and flowers on the special occasions of your as well as on the special days of your loved ones. There were good old times when you had the smell of freshly baked cake in the Kitchen. Flowers are nature’s gift for spreading the fragrance beyond the human imagination. Who wouldn’t want to have the best flowers in Dehradun? 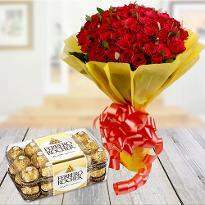 Winni provides you with a number of ways to have those best flowers in Dehradun. 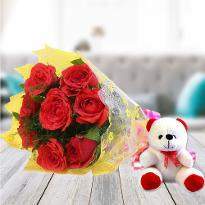 Winni not only provide services on website winni.in we do have our Winni android and IOS app for seamless online flowers delivery in Hyderabad along with Dehradun, Delhi, Chandigarh and across 480+ cities in India. We also have IOS app for effortless flowers delivery. Cake baking and flower bouquet designing are definitely an art. An art which requires lots of patience and artistic ideas. Winni, have mastered the art of providing best gifts. We try to provide you everything in your pocket. 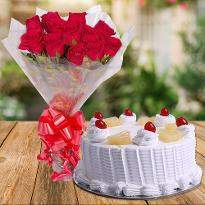 From eggless cake delivery to same day cake delivery, from midnight flowers delivery to customized deliveries. Every person has their own taste and preferences keeping this in mind Winni provide a wide range of cakes from birthday cakes to anniversary cakes, from baby shower cakes to sorry cakes, from farewell cakes to get together cakes, from get well soon cakes to propose cakes, from engagement cakes to promotion cakes, from kids cakes to customized cakes we have everything in our pocket for our customers. 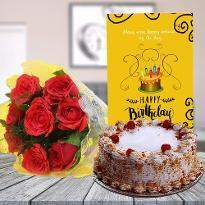 Sometimes it’s not possible to order in advance for that Winni provide you with the service of same day cake and flowers home delivery in Dehradun. With this same day delivery, you can have the home delivery of your order within the same day of the placement of the order. Midnight celebrations are part of today’s lifestyle. 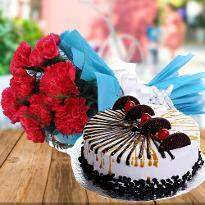 For this Winni provide you with the facility of midnight cake delivery in Hyderabad along with Dehradun and many other cities. 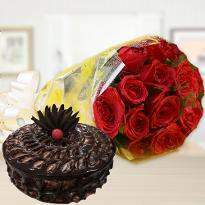 Not only cakes you can also have midnight flowers delivery in Dehradun, Delhi, Hyderabad and many more cities. Midnight celebrations are something which not makes you feel special but also you get to know your own worth in lives of your loved ones. 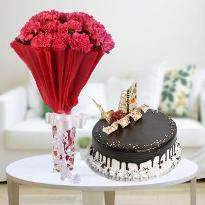 To have a successful midnight celebration one must have the perfect cake and flower combo. 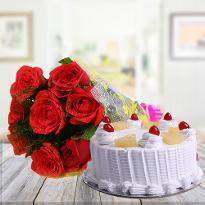 Cakes are to fill your soul with sweetness and flowers to give a fresh start of the new moment of your life. 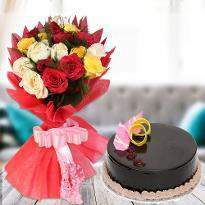 Have the best midnight cake and flowers delivery to make your moments more memorable. 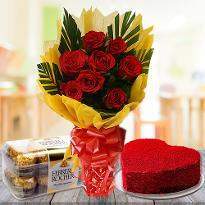 Along with the wide range of cake and flowers, Winni offers multiple options in cake and flowers combos.The choco truffle cake with the beautiful flower bouquet of roses is a heart win gift for anyone, the healthy fruit cake with graceful rose flower bouquet is perfect for your parent's wedding anniversary. 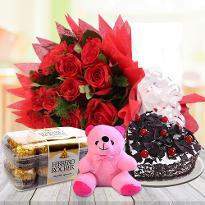 Winni have a huge range of combo of cake and flowers to present on the special days of your loved ones. 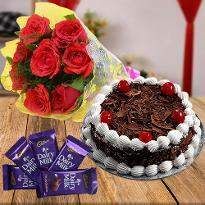 What are the areas for cake and flowers delivery in Dehradun? 'Dehradun' is rich in the natural landscape. One of the famous hotspot for family, couples and friends outing. Dehradun is close to Haridwar and many places which make it a Chota Char Dham spot for the spiritual journey as well as an adventurous outing. Winni makes sure that we provide delivery across these places so that people can have celebration wherever they want to. The Doon valley contains the settlements including Dehradun, Doiwala, Herbertpur, Prem Nagar, Shewala Khurd, Uttaranchal University, Tapkeshwar Mandir, Vikasnagar, Sahaspur, Rishikesh, Raiwala and Subash Nagar, Clement Town, Survey Of India Campus, Dalanwala, Sinaula, Kedarpur, The district contains Rajaji National Park which is home to several elephants, Benog Wildlife Sanctuary at Mussoorie &, Asan Conservation Reserve. Tourist destinations include the Tapovan, Lakshman Siddh Peeth, Tapkeshwar Temple, Santala Devi temple, Mindrolling Monastery, Malsi Deer Park, Kalanga monument, Chandrabani, Guchhupani, Forest Research Institute, Prakasheshwar Mahadev Temple, Sai Mandir, Central Braille Press and Wadia Institute of Himalayan Geology.